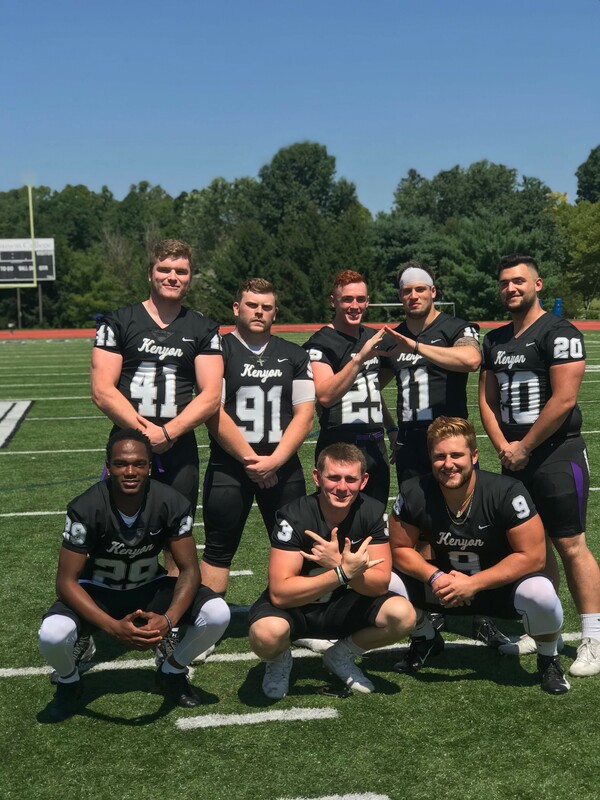 This year there are 8 Chi men on the Football team including three defensive starters: Sam Dickey (MLB, 2020), Trevor Brown (DL, 2020), and Sam Becker (DL, 2020). Brother Dickey leads the NCAC in Total Tackles with 74 through 6 games. The brothers of Chi would like to thank you for your continued support and are striving to continue upholding the good name of Chi through being gentlemen and scholars.